Right now I’m going through AtoZ withdrawal symptoms! April was a month of non-stop blogging and commenting even though I had pre-scheduled most of my alphabet posts. I was seeing alphabet letters in my sleep and would wake up early in the morning to make sure my day’s post was delivered as scheduled. The many blogger friends that I’d meet each morning became my little blogging community as we encouraged each other and praised each other for the amazing ideas picked for themes. Well done! We have survived!! 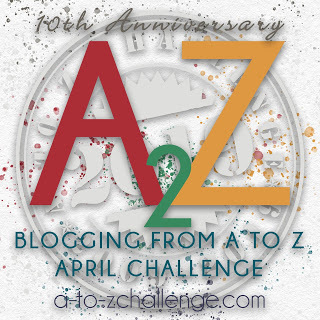 Keep a look out for my A to Z Reflection! Hat’s off to Arlee Bird and his Ambassadors! !